Nilai reminds me about my University life. I used to study in Nilai University and live in Nilai for almost 3 years. Well, live in Nilai I would say much less stress due to their environment. Everything is green, but there’s still have hypermarket such as Giant, etc. Yesterday, I was invited by Rymba Haven to try their Iftar Ramadan. To be honest, I’m so excited to see what they have and I’m glad I could drop by Nilai once again. There’s so many improvements in Nilai and this is my first time I came to Nilai Perdana. What else could I say there’s hidden gem that provide a good place for you to organize your event and not to mention they serve affordable and delicious food for Iftar to. Overall, I would rate 7/10 for the venue. I quite like their concept and of course their “jungle” feel. 8/10 for the services and 6/10 for the food. I believe they could do much better than what I had yesterday. Maybe it was their first day of the event and I really hope I would have the opportunity to drop by again in future. P/S: They do have Caklempong perfomance from Bonang Group to entertain Rymba Haven guest. You can see the Rymba Haven blue sign along the way and that huge sign upon arrival. Photo credit to Emas Putih. Ramadhan is around the corner, come and visit us for Iftar Ramadhan Buffet Promotion 2016…at Rymba Haven. They are offering you a Kampung Style food to cater for your craving after a day of fasting in the holy month. Patin Tempoyak, Daging Salai Masak Lemak, BBQ Lamb, Rendang Daging Nghori and many more. There will be RM 5.00 discount for 14th May – 6th June 2016. RYMBA HAVEN was founded in early 2014, our company is your key to all your successful occasions. Under a professional team, we have creates range of event offerings. In addition, our team of professional events coordinators ensures that each step of the planning process is anxiety-free and executed to the client’s satisfaction. We understand how important your event is to you, and we take pride in making the success of your party, luncheon and especially your wedding. Our specialized services are a perfect way to provide great as well as outstanding service without lifting a finger. If you’re planning on hosting an event, give us a call today to find out what we can do for you. Whatever the occasion, we can provide our clients with a full or tailored service in both catering and event management. We can provide the equipment and organize the catering and service to the last detail. With a team of skilled and years of experienced staff, along with an impressive range of equipment, we can cater for a range of events. The success of your party or event is important, and we strive to make it as memorable as possible for all of your guests. Away from hustle and bustle, Rymba Haven is the place for your dream garden events. 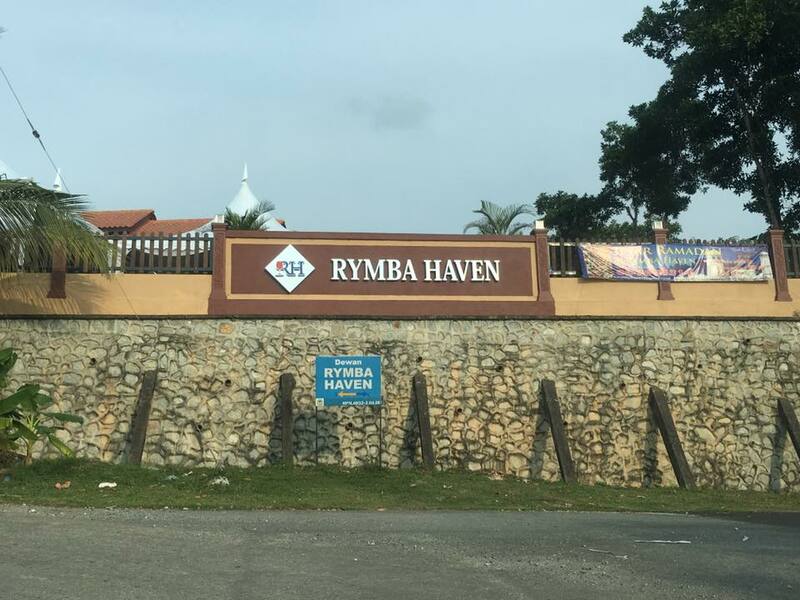 Charmed with the pleasant scenery of green palm field and KL-Seremban Highway, Rymba Haven offers venue for your social events, weddings, gatherings, meetings, corporate functions, camps and more. with mixture of traditional and modern elements, Rymba Haven is a place where two world meets. Basically the food was good just that they do not have much variety and if you really love Kampung food, you definitely should try Rymba Haven since they serve Kampung food and with a little bit of dessert twist. So, do you love Kampung food? Do not forget to drop by Rymba Haven if you happen to be in Nilai.